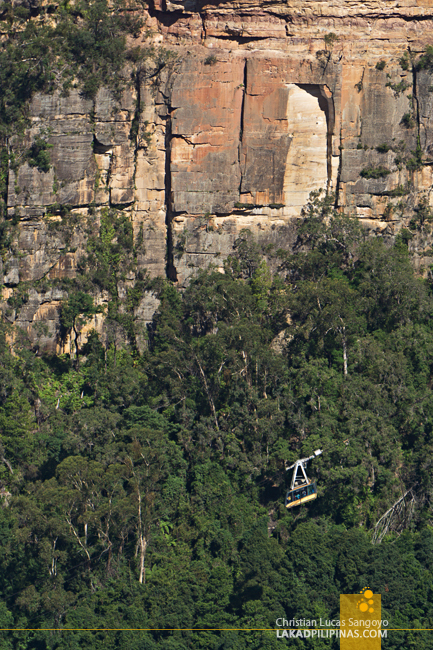 Slowly, the cable car descended from the escarpment and onto the lush valley below. 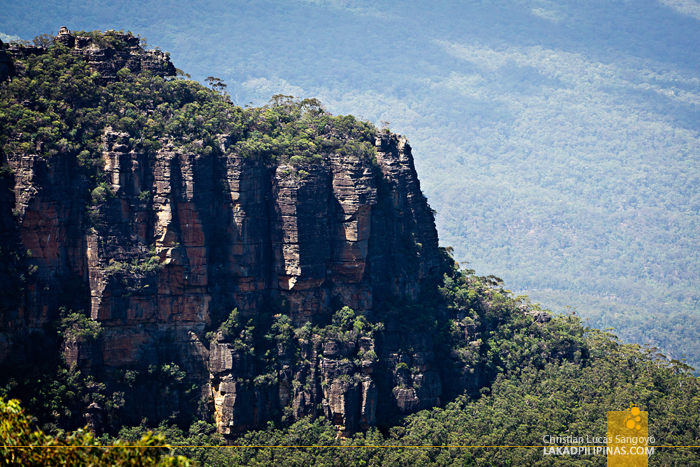 Facing the red sandstone rock wall, the view opened up, revealing its massive face, eroded by time. 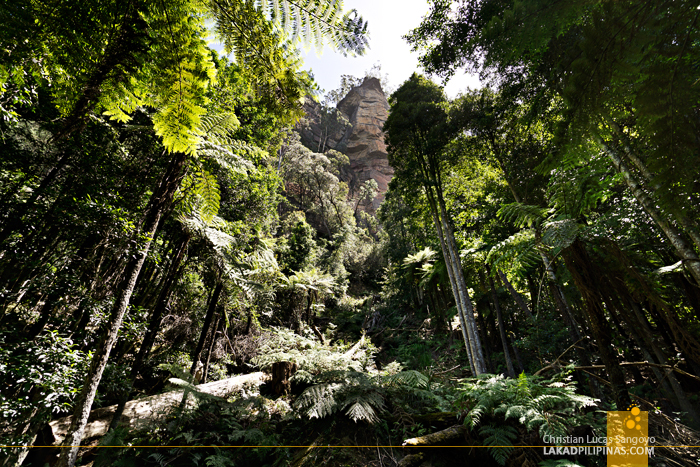 The jagged pillars protruding like fingers from the east side of the wall came into view, what locals call the Three Sisters, and a few moments later, the canopy of the massive trees enveloped us. 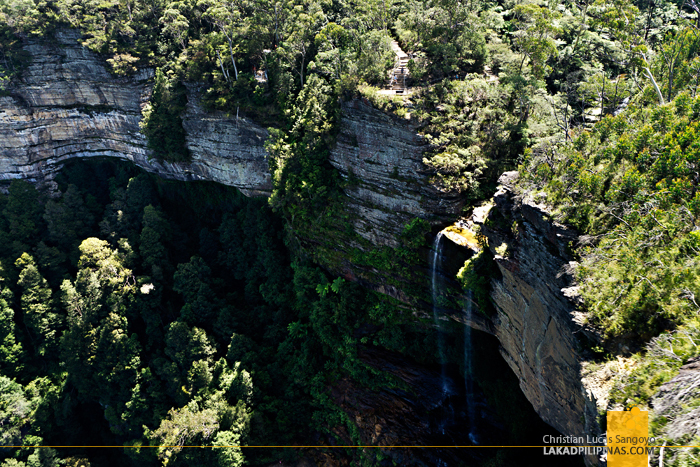 Ladies and gentlemen, we just descended to the Jurassic rainforest of the Blue Mountains. 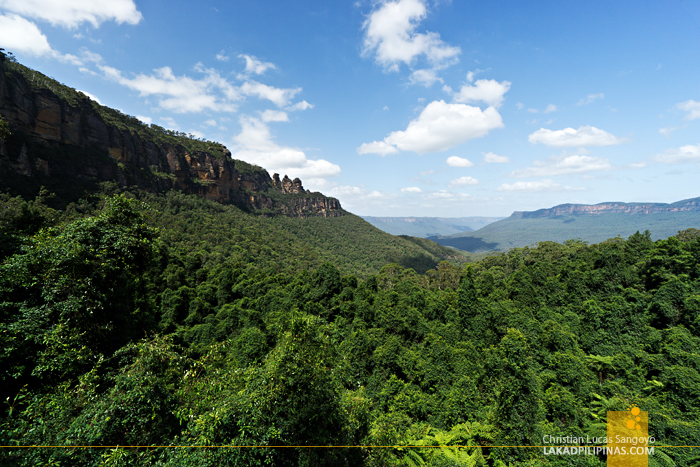 What we really came to the Blue Mountains for was Scenic World. It’s a family-owned business that run various rides—no, not theme park rides—at the Blue Mountains. 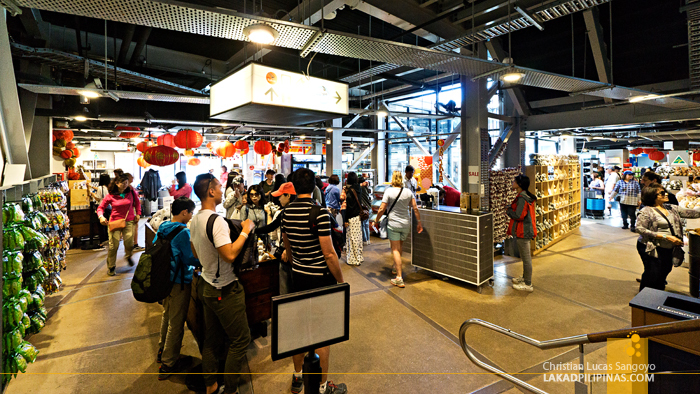 We saw it thru one of the many tours that Klook offers in and around Sydney. 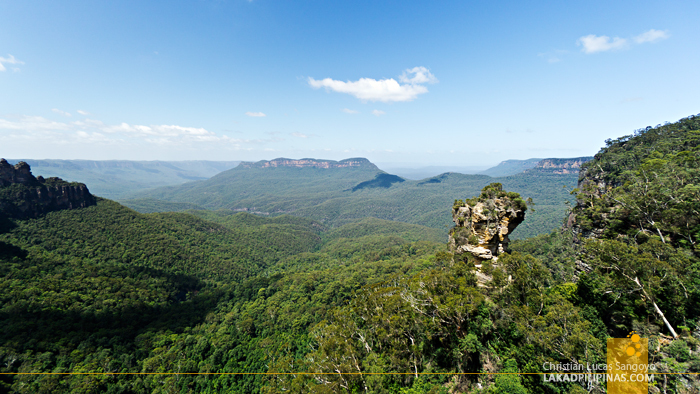 It’s located on a UNESCO World Heritage Site and is only an hour and a half by train from Sydney, so we thought, why not? Coming in from a detour to the Three Sisters and Katoomba Falls, we arrived at Scenic World past noon. 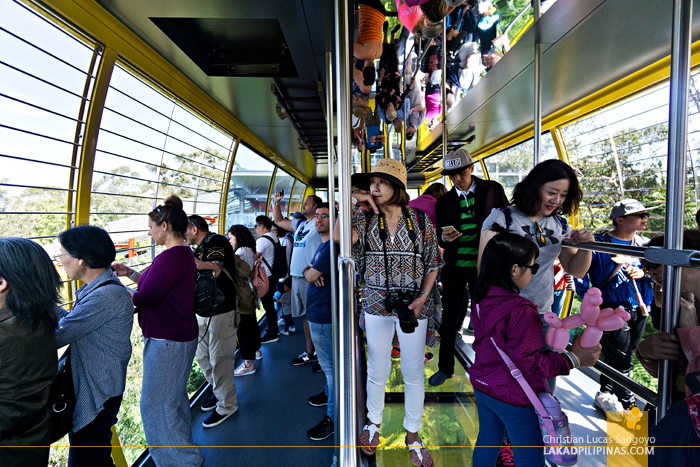 There were quite a few tourists at the center—some waiting for their rides, others browsing through the numerous souvenirs littering its floor—spell plush koalas and kangaroos. We showed our e-voucher from our Klook app to one of the staff manning the center, and he gave us a bracelet that would serve as our entrance key to all four of the color-coded rides and walkways around this side of the Blue Mountains. He also gave us a map, explaining in brief and concise manner how we can go about exploring the area. The first one we boarded was the Scenic Skyway. 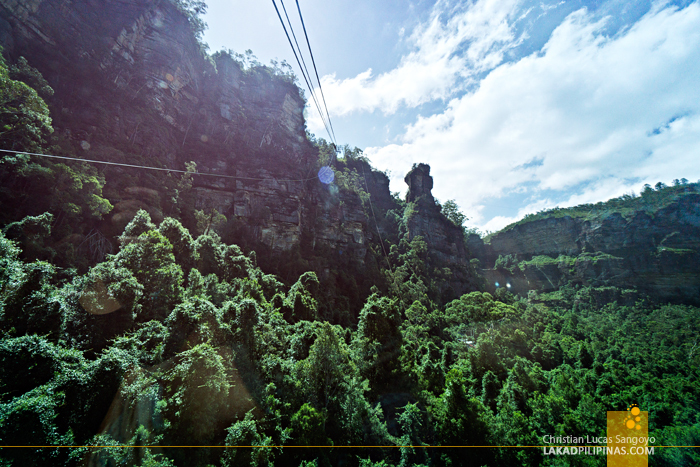 It’s basically a cable car that runs to and from a gorge that’s 270 meters deep across the Blue Mountains. 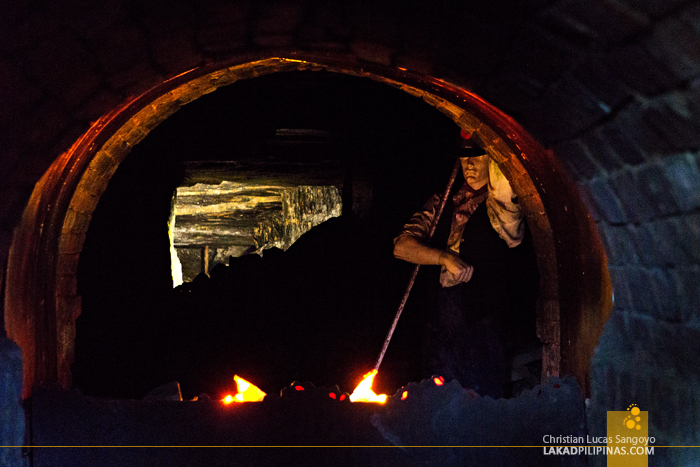 The ride is almost one kilometer long and can load up to about ninety persons at a time. 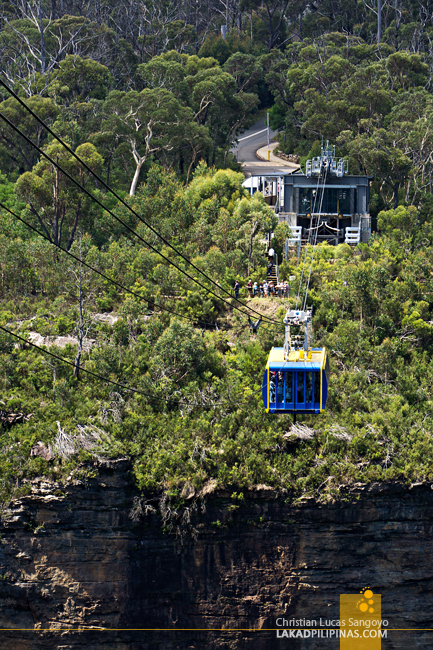 Boarding, we quickly positioned ourselves on the left side of the cabin—thinking that it might pass across Katoomba Falls. And we were correct, halfway through the crossing, we saw the whole cascade of the falls. And even with limited cascade due to dry weather, it was still a majestic sight. The car is open on all sides, with grills and glass protecting people from falling over. The middle part of the floor, which is made of electro-glass, turns from opaque to transparent as it moves away from the platform station, startling people who’re actually standing on them. 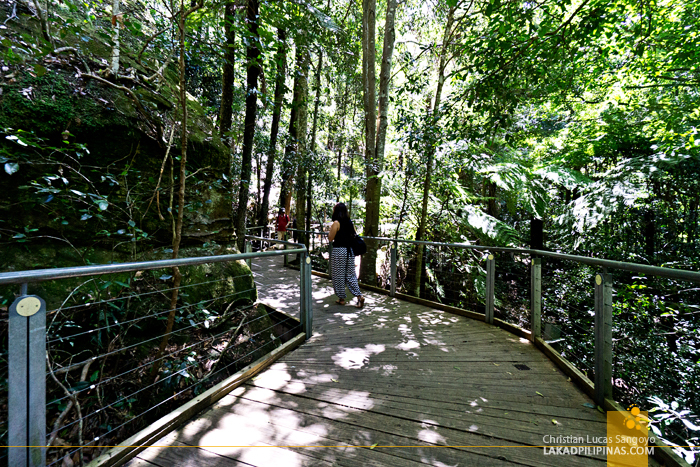 One can actually continue to the trails going to the Three Sisters from its terminus, but since we already visited it earlier, we decided to just ride back to the main hub of Scenic World. 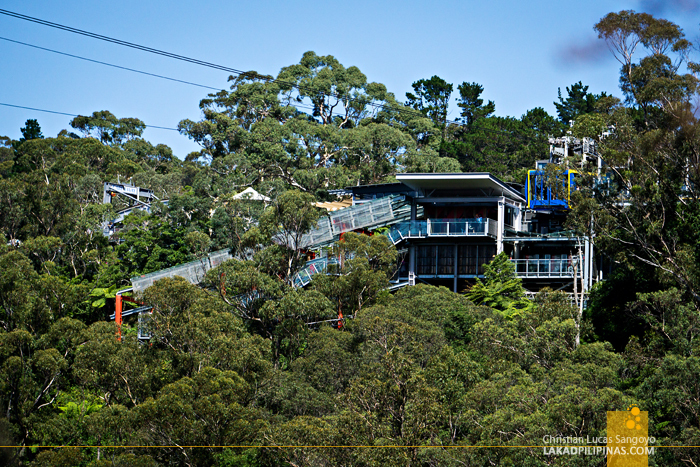 We thought we’d be able to descend from the cliff where Scenic World was to the forest floor below in relative peace since we’re not more than five on the cable car going down the valley. A few minutes before the door closed, a group of rowdy Japanese uncles and aunties came rushing through. Oh well, lol. 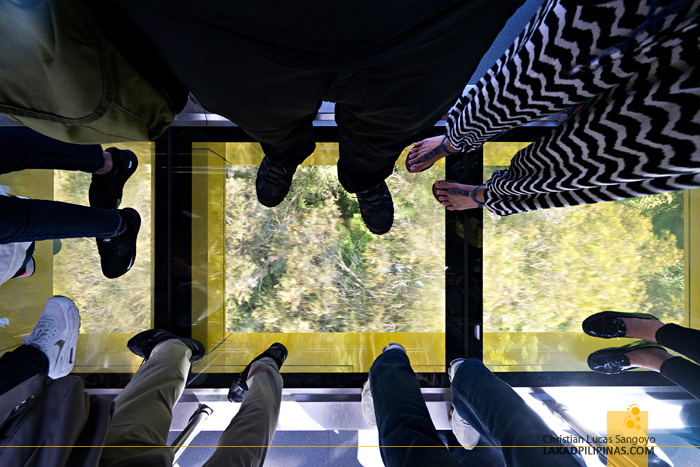 The car can hold about 84 passengers, and is hailed as being the steepest and largest aerial cable car in the whole Southern Hemisphere. Well, the title may be true, but there really aren’t that many fully developed countries on that side of the hemisphere, lol. Just before the cable car started to move, I noticed a rollercoaster track right beside the station. Apparently, Scenic World started building the Orphan Rocker—named after the nearby Orphan Rock—years back but abandoned it. Back on the cable car, the half-kilometer descent was more exciting than the Yellow Ride, giving a really superb view of Jamison Valley and the massive plateaus rising out of it. Just before the trees enveloped us, I thought to myself how I’ve never seen as many trees in my life until then. 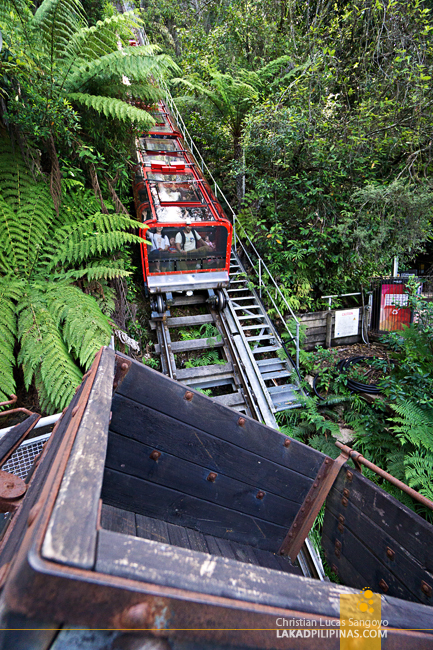 The ride terminates right out on the forest floor. We have the option to go back up or, take a short fifteen-minute hike along the forest, or take the longer route—which was about an hour’s worth of walking. We surprised even ourselves when we took the long route. Well, we’re already here, so why not? And we were actually glad we did. The trail, elevated on wooden planks from the main forest floor, was easy to navigate even for non-hikers. The 2.4-kilometer long path wounds around a very small part of the Jurassic forest, but it was still enough to give a good cross-section of what it’s like down here. 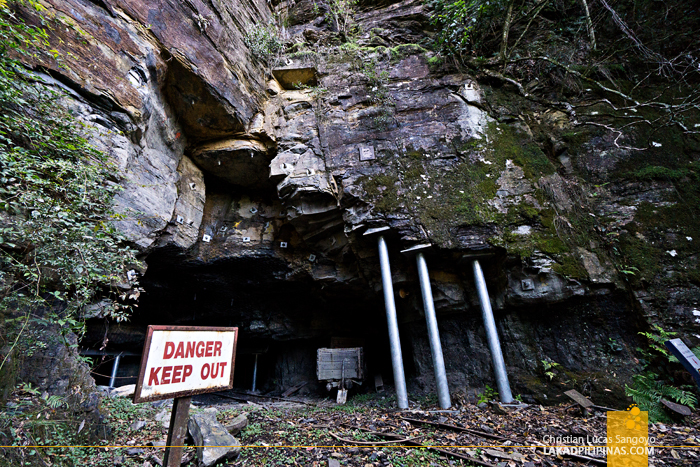 During the course of our walk, we passed a former coal mine. 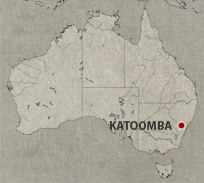 This part of the Blue Mountains used to be a mining town before it ran out of coal, and tourism flowed in. Mining implements, rusted over time, can be found scattered across parts of the forest floor. 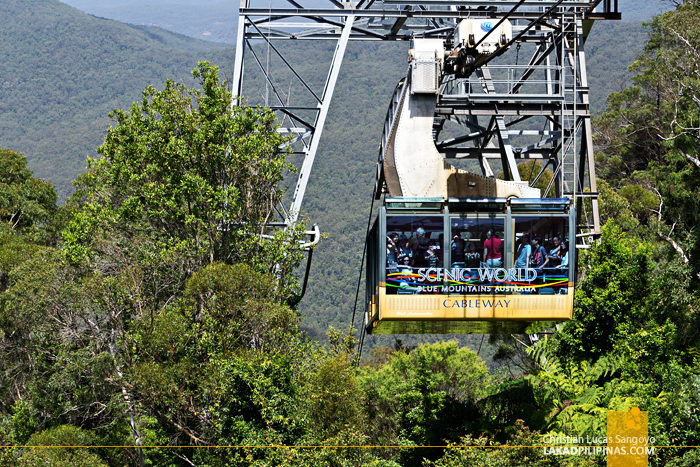 Scenic World decided to leave those where they were as a reminder of its historic past. 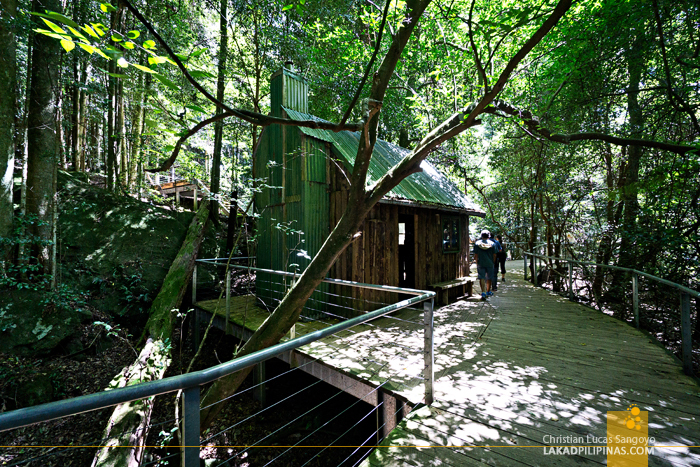 They even reconstructed a mining cabin, just to show how people from the past lived in the area. We visited during March, but if we’ve moved our travel date a month ahead, we would have seen a much different walkway. 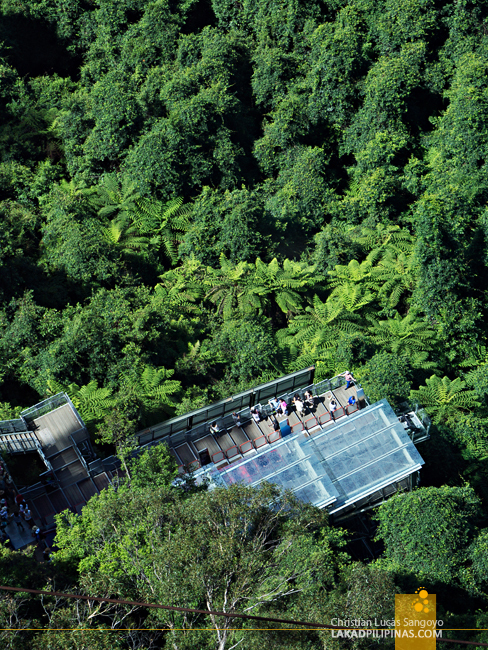 For five weeks during the months of April and March, Scenic World hosts art installations along the forest for seven years now. And if ever you visit on a rainy month, fret not. I read that visiting the forest during the wet season is even better. 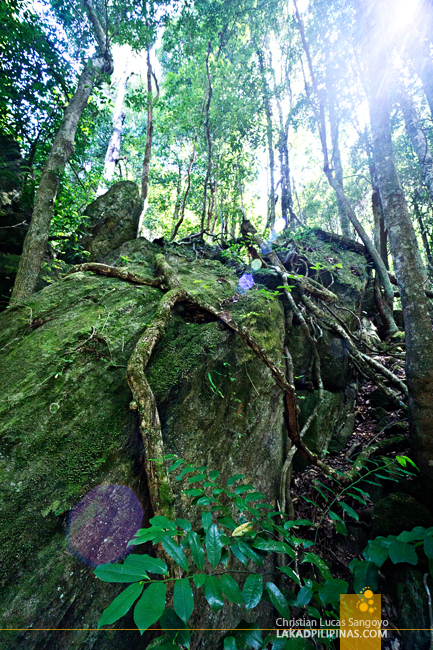 The rainforest becomes shrouded in mist, the birds become even more active, and the flora shines. I can just imagine how magical the trail would be then. We saved the best ride for last. 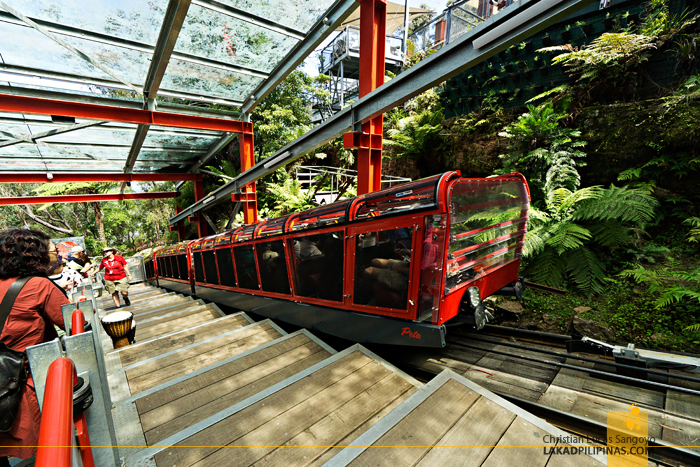 The Scenic Railway is a multi-awarded 310-meter ride that rushes from a cliff-side tunnel and onto the rainforest below. 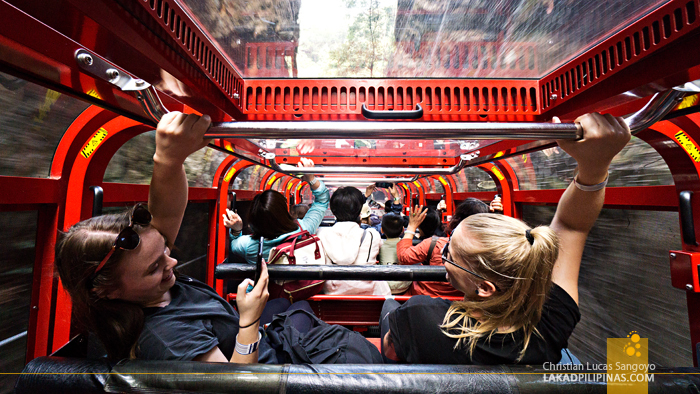 With a 52-degree incline, it is the steepest passenger railway, not only in the Southern Hemisphere, ehem, but in the world. Now were talking! Lol. Riding it, passengers even have the option of steeping it up to a 64-degree tilt, which we did, or a gentler slope for the not-so-adventurous types. The best way to enjoy this ride is to sit out front, where you can watch as the canopy of the forest rush right in your face while Indiana Jones’ soundtrack plays in the background. I kid you not on that last part. The Scenic Railway has been operating since 1945 and you can actually see the almost bare trolleys that people used to ride before. 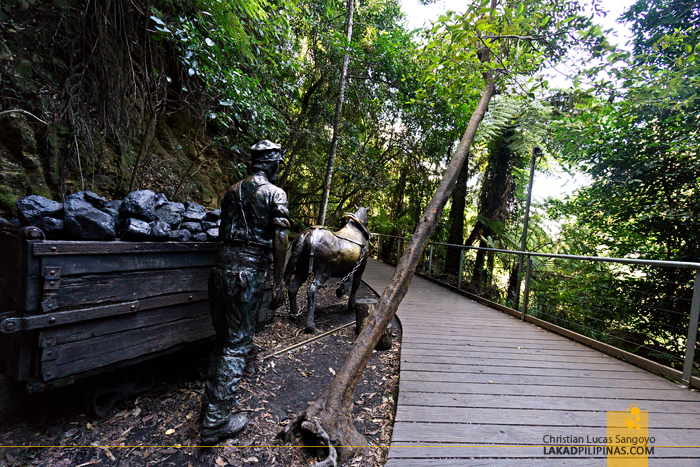 But prior to that, this track was actually used by miners during the late 1800’s to transport coal from Jamison Valley up the escarpment above. Aside from our noodle breakfast at the Sydney Central Inn and the chocolate bars we hoarded from our Scoot Manila to Sydney flight, we haven’t had anything else to eat yet. With tummies protesting, we went to one of the two restaurants at Scenic World, the Terrace Café. We chose it over Eats 270 since we found the cheapest meal there. 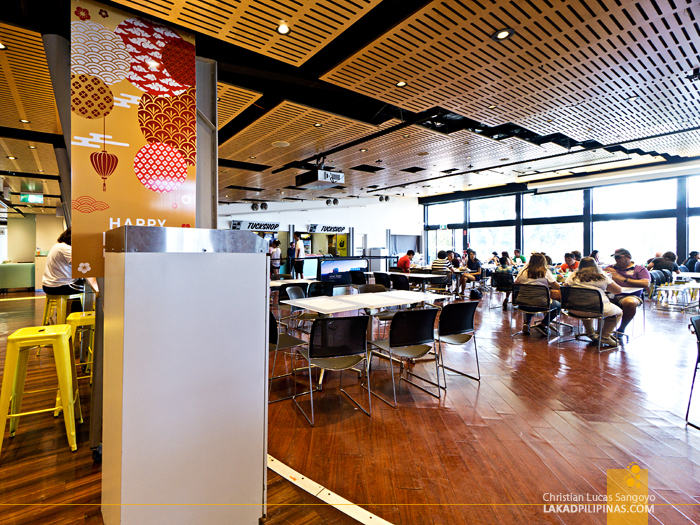 Food is extremely expensive in Australia, especially for someone who comes from South East Asia where everything is cheap. The most affordable meal we found was a chicken and chips kid’s meal. It’s basically a plate of fries with five pieces of chicken nuggets for AUD10.00 (PHP400.00), which was still too expensive for us. In all fairness, it was quite good, especially since we dined al fresco on the balcony, with a view of the Blue Mountains right in front of us.